With an elegant and modern style, Javenist WordPress Theme has all things you need and bring your customers a fresh and active interface. Because of a multipurpose WordPress template, Javenist is perfect to show digital, construction tools, organic, accessories,.. for your store. 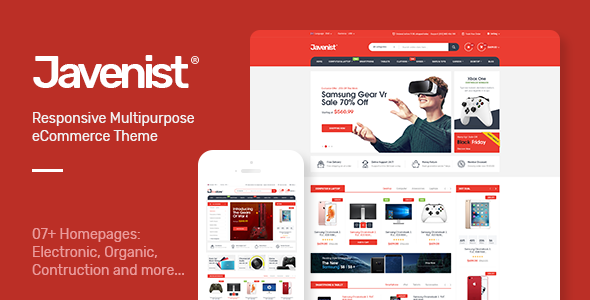 Javenist Responsive WooCommerce subject created for offering nice interface when surfing web on computers, desktops, laptops, smart phones, tablets and other. Using many Tabs Category Slider and associate with many nice cms blocks are highlights of this theme. Show products of each category in vertical and horizontal with smooth effect when hover add to cart, wishlist, compare. 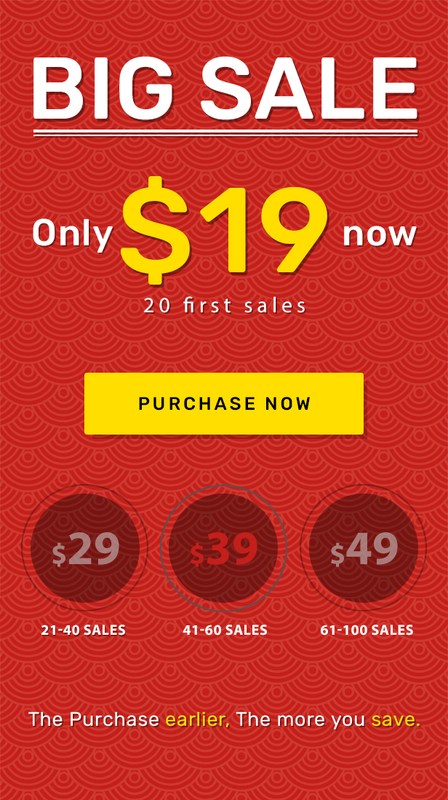 Timer countdown is styled in each discount products with Sale label. Other Products Slider modules such as new, featured, bestseller, most viewed are displayed on homepage and category page with small next/back icons, green/red background- color. Seven home pages layouts, you have many choices for your online store. Custom Slide show with colorful images, Megamenu with link such as Blog, Contact Us, About Us, … and Vertical Megamenu with product categories, wishlist and top cart icons,… are full on Header. 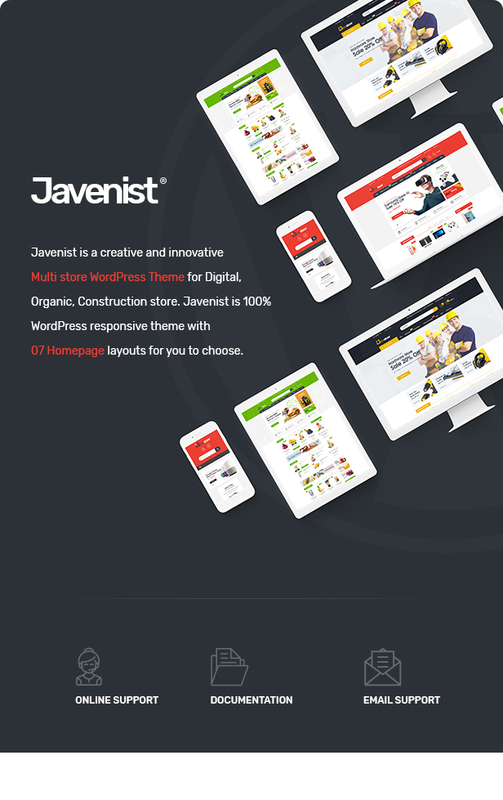 Javenist multipurpose WordPress theme is an extraordinary beginning for you!